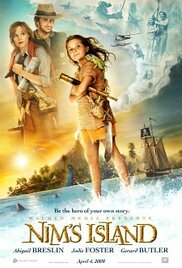 Join The Archicks on Friday, March 24th at 7 pm for a showing of the recent hit movie, Nim’s Island. The movie is Rated PG and runs for 96 minutes. We’ll have popcorn and juice free of charge, but feel free to bring your favorite goodies as well. As always, Frank’s Flix movies are free but goodwill donations are accepted to replenish the Frank Parmer Fund which is dedicated to helping the children of our Congregation. Do you have a favorite movie you want to see? Then please share with Mr. or Mrs. Archick and we’ll do our best to get it scheduled! Please join us for a fun family evening together!